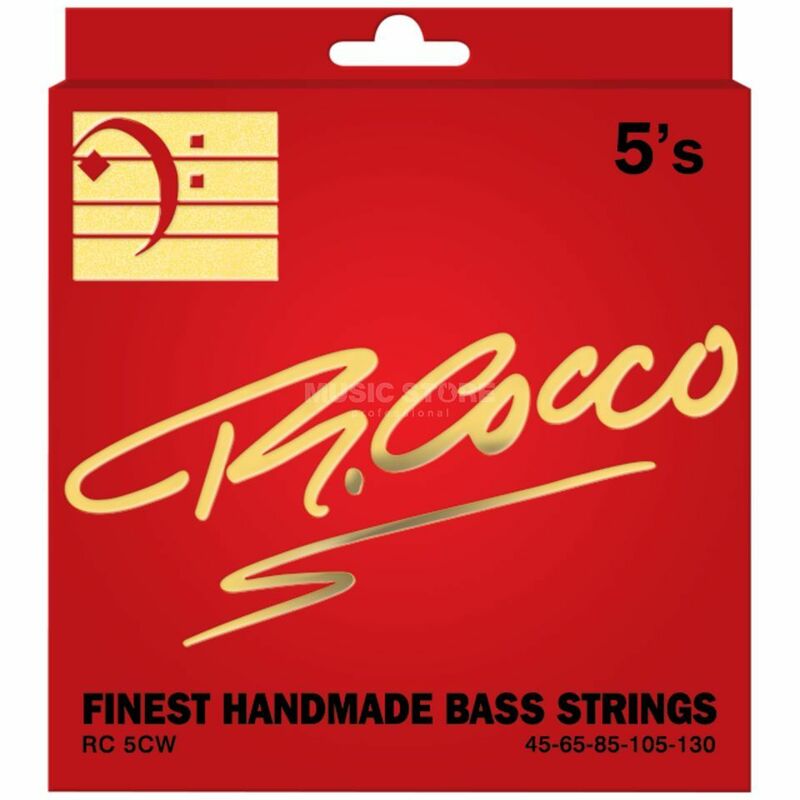 The Cocco RC 5CW 5-String Stainless Steel Electric Bass Strings 045-130 is a five-string set featuring a stainless steel construction with an extra-long scale and dimensions from .045-.130. Richard Cocco strings are handmade, and the manual labour allows for a tighter winding. The RC 5CW feature a brilliant and long lifespan, offering evenly matched loudness across the strings. Controlled string oscillation allows for lower string action, and reduced interferences. The RC 5CW strings possess excellent tuning stability and intonation.